One the right side stands a 32 cm K 651 (f). This type was not used on the European coasts. Five guns were captured, four were operational. The fifth was used for research. 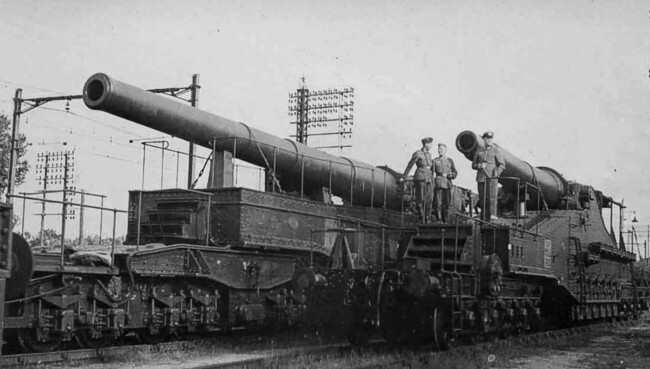 This gun was designated as Kanone 675 (f).